After five days and one hundred and fifty observed sections, James Dabill - Beta will take a slim two-mark lead into the sixth and final day of the 2018 Scottish Six Days Trial (SSDT). 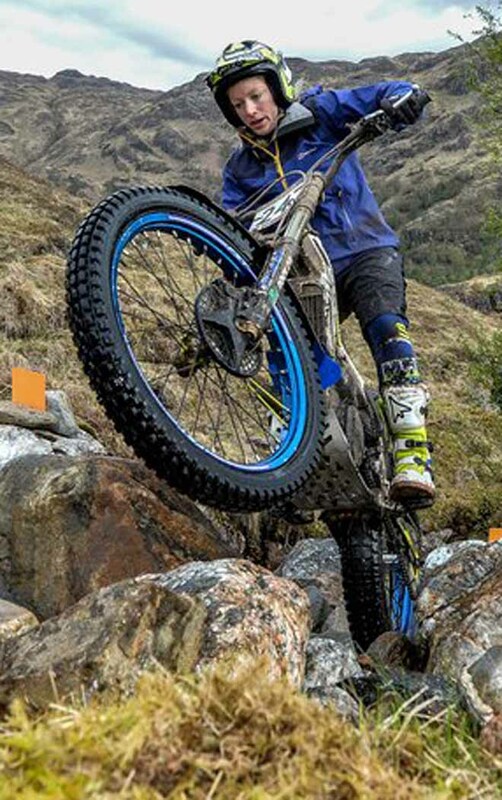 Dabill has led since Monday and carried the yellow leader board, which he shared with five other riders at the end of day one, throughout what has mainly been a wet week in the Scottish Highlands. 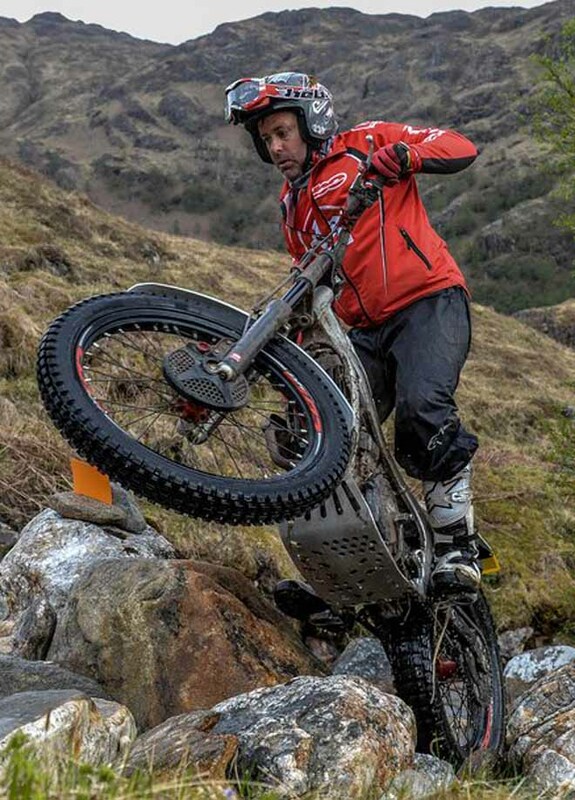 Whilst James has not really put a wheel wrong since he arrived in Fort William he has not yet been able to shake off the close attention of current second placed Dougie Lampkin - Vertigo. 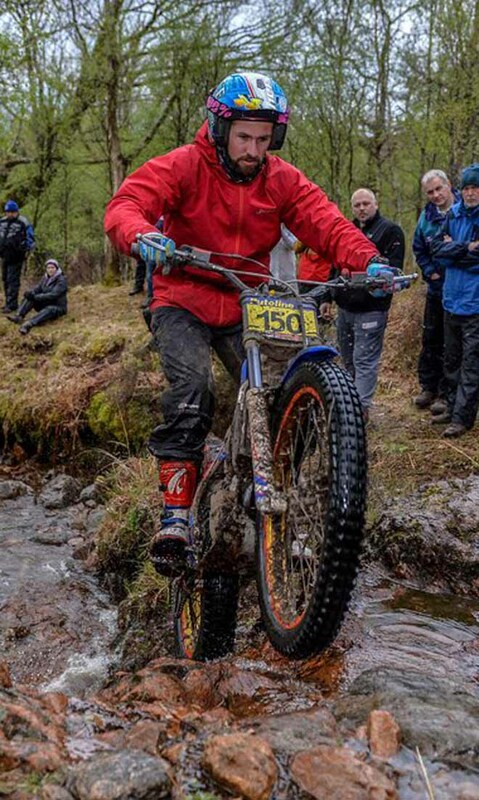 Whilst Lampkin already has a record eleven SSDT titles to his name, he finds himself in the slightly unusual situation of trailing going into Saturday’s final and deciding encounter, in an event he is more used to dominating from start to finish. Both originating from Yorkshire, it promises to be a tough and tense duel between these two fierce competitors, who are friends when they are not each holding a set of handlebars. Riding right at the back of the field tomorrow, after losing one mark on his early day today - a feat matched by Dabill, Lampkin will have the benefit of knowing exactly what his rival is scoring ahead of him. Ironically both riders lost their single dabs in the second group of the day today at Pipers Burn, as the 2018 SSDT recognised its longest day of the week, with the almost hundred-mile route closing with the red rocks of Ruhba Ruadh before the Corran ferry crossing and the short road trip back to the parc-ferme in Fort William. The pressure on the leading duo will be immense, with the battle looking like it will continue right through to Ben Nevis tomorrow afternoon. Whilst Dabill and Lampkin will be very much focused on each other, local rider Gary Macdonald is perfectly poised to cause a potential upset as he continues to sit just a few marks back from the front two. Macdonald who already won the Pre-65 event last weekend has been in great form all week as he persists in his hunt for that elusive first SSDT win. Macdonald only holds a four-mark advantage over fourth placed Jack Price - Gas Gas, who in turn has the same margin over Jack Sheppard - Sherco and Sam Connor - Beta in fifth and sixth positions respectively rolling into day six. The leeway between the following pack of riders is equally as tight with Richard Sadler - Beta currently in seventh spot on twenty-two marks, being closely chased by Andrew Chilton - Scorpa and Sam Haslam - Gas Gas who are both just four further back. It is also a four-mark gap back to Guy Kendrew - Beta who will have a real fight to maintain his position as the last rider in the top ten come tomorrow afternoon. The competition for other honours also continues with vigour heading into Saturday’s showdown. Jiri Svoboda - Beta stretched his lead to twenty-one marks over Thomas Housecroft - Beta in the newcomer class to put the rider from the Czech Republic in the driving seat with just one day to go. It looks like only an absolute disaster can rob Emma Bristow - Sherco from lifting the prize for best female rider yet again, as she further increased her margin over her nearest challenger Sandra Gomez - Gas Gas. 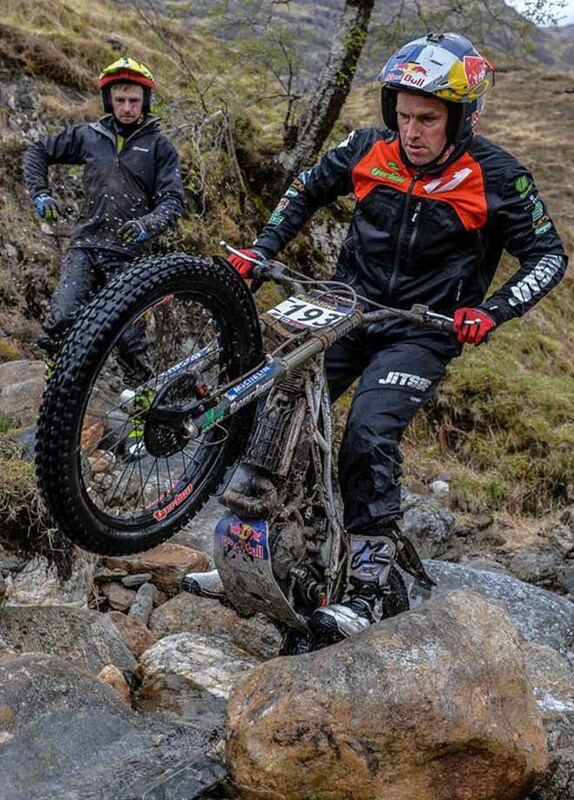 It is a similar story for Lampkin as he holds a good advantage over Ben Hemingway - Beta in the over 40’s category ahead of the deciding day. Whilst the shortest day of the event, Saturday should never be underestimated and often proves the sting in the tail with classic SSDT sections at Upper and Lower Mamore on the way to Pipeline, before the riders then head over the hill to Bradileg and then onto Glen and Ben Nevis where the trial is often decided, although the final sub at Town Hall Brae can never be totally disregarded. So, the big question is will it be Dabill or Lampkin who will get to taste the winner’s champagne as the 2018 SSDT reaches its climax back in Fort William tomorrow afternoon? Un punto ciascuno in questo penultimo giorno e quindi differenza di 2 penalita' che rimane intatta. Terzo lo scozzese Gary Macdonald. Ancora prima fra le donne Emma Bristow. Sempre 5 gli altri italiani ancora in gara.